Applications include: Hear Back, DSL, LAN, Voice, Video, and Data. 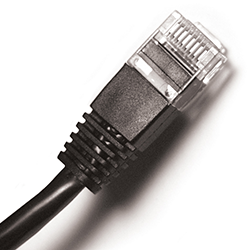 Meets or exceeds Cat5E specifications. 24 AWG UTP Stranded copper wire. Certified for all Hear Back interconnections. May be used in other applications, whenever Cat5E cables are required.